After visiting the dentist, many people return home with a temporary filling a cavity. Some patients are wondering why the dentist did not put a constant seal, and as a temporary filling effect on the aching tooth. The material constituting the temporary filling, is composed of a mixture of zinc oxide and eugenol. Eugenol is the active substance known for its sedative properties. It is found in nature as oils and has a characteristic smell and taste like cloves. The zinc oxide powder behaves differently depending on the ingredients with which it is mixed. In temporary fillings, it is used to give hardness to the eugenol. When these substances are mixed, they first form a soft and sticky solution, which then becomes more rigid and fragile. Therefore, temporary fillings wear out quickly, eventually crumble and fall out. In addition, there are the so – called amalgam, temporary fillings, which contain mercury. Although mercury is a toxic substance, in seals it is used in alloy with other metals: tin, zinc, copper and silver, which makes it safe. These temporary fillings are used in the practice of dental treatment for nearly 100 years and is harmless. When the dentist removes tooth decay, he tries not to damage healthy tissue of the tooth and the nerve. But sometimes a tooth is so damaged that the doctor has to come very close to the nerve. If the decay has reached the nerve, the latter is necessary to remove from the root canal of the tooth. If the caries is very close to the nerve, the doctor may put a temporary filling. It is likely that the tooth will be sensitive and will require a root canal to save the tooth. 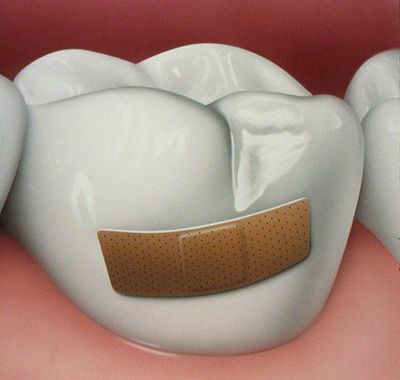 In this case, a temporary seal is needed in order to follow up on the patient tooth. Within a few days or weeks after removal of caries doctor and patient waiting and watching for symptoms. Eugenol is released from the temporary filling, comforting the nerve. Sometimes the pulp of a tooth begins to build a barrier dentin, which helps to isolate the tooth from external influences. It also helps to avoid toothache in the future. If for some time the aching tooth is not bothering the patient, then the temporary filling can be removed and put in its place a permanent filling. Usually this period ranges from several days to several weeks. It does not guarantee that future tooth ache, but no tooth pain in this short period, it is a good sign. If the tooth starts to bother you, then the doctor removes the nerve from a tooth. Temporary filling is useful for dentists a tool for the treatment of a diseased tooth. Medicine from the eugenol in the temporary filling helps to calm the nerve and allows the tooth to heal after removal of tooth decay. Advice 2 : Why you need a temporary filling? Seals are quite a common way of dealing with carious lesions of the tooth. Most often they are classified by purpose and composition. 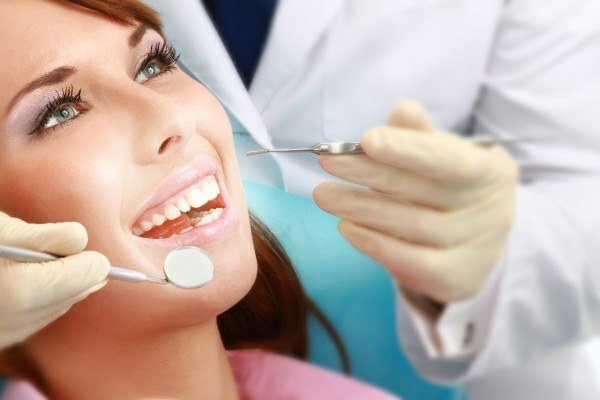 For example, there are temporary and permanent fillings. Usually, a temporary filling is designed for subsequent replacement by a permanent one. Used in case the dentist uses a medical drug or not entirely sure of the diagnosis. A temporary seal is a protective layer of the tooth, to at a certain time to avoid penetration of food particles and bacteria inside. Constant designed for prolonged action. But, as a rule, the lifetime depends on the quality of the material used, tooth structure, accuracy compliance technology, the skill of the doctor. Wide application of temporary fillings received in diagnosing dental diseases. For example, in some diseases in the oral cavity it is necessary to follow the state of the nerve endings. This is necessary in order to try to preserve the nerve, and not mindlessly delete it when you see small holes in the tooth. Others use temporary filling is prosthetics. Material for temporary assignment performs the function of protecting the prepared tooth to manufacture the implant to be introduced into the oral cavity of the patient. If the temporary filling falls out, it means that was used substandard material or specialist is not well treated tooth surface. It should be noted that the temporary filling is removed directly in the dental office, and then immediately put constant. Reliable sealing of the interim action involves the preliminary preparation of the tooth. To do this, you must carefully dry all the channels and the bottom. As a rule, a temporary seal can be installed for a few days or even 2-3 weeks. It depends on the purpose and duration of action of the drug. Sometimes a temporary filling is starting to appear soreness that is considered normal. In this case, you can use any painkiller. The early W of the seal or breaking off individual pieces, you should immediately consult a doctor, since the presence of saliva and food residue will start the inflammatory process and will continue the destruction of the tooth itself. If it hurts under permanent seal, then it should be a cause for concern and immediate referral to a specialist. The most common materials from which may be made of the seal are metal, cement, phosphate cement, steklovarenie cement, composites, plastics, allstargame plastic and others. At the moment, great demand for seals made of polymeric material, as they have high quality characteristics. Typically, such seals can be installed on any portion of the damaged tooth, using such a composition of the recovered broken pieces of the tooth, is attached to any shade fillings. This is due to the fact that solidification occurs only under the influence of a special light. To avoid unpleasant symptoms and tooth decay, you need to take care of your mouth: brush your teeth every day morning and evening, regularly visit a dental office to identify diseases at an early stage, to eat a balanced and to monitor the intake of sufficient amount of minerals and vitamins, regular walking in the fresh air and to sleep, to abandon the use of alcoholic beverages and tobacco. A lot of people bad teeth bring a lot of trouble. Bad breath, soreness, bleeding gums — all of it unpleasant. Dental problems never go away, so visiting the dentist is necessary. Each second patient dental clinic at least once in your life having a disease such as pulpitis. Pulpitis is usually accompanied by terrible, wild, unbearable toothache. This is because the tooth nerve exposed. To get rid of the pain, you need to kill the nerve. This can be done with anesthesia and modern methods, but quite a large percentage of patients on the components of the standard method of injection causing severe allergic reactions. In this case, dentists have to resort to the use of temporary fillings, to remove the nerve. This is the longer, but quite effective method, which is suitable for Allergy sufferers. As a temporary filling frequently ARSENICAL paste, which removes the damaged teeth from all harmful substances, and kills pain. 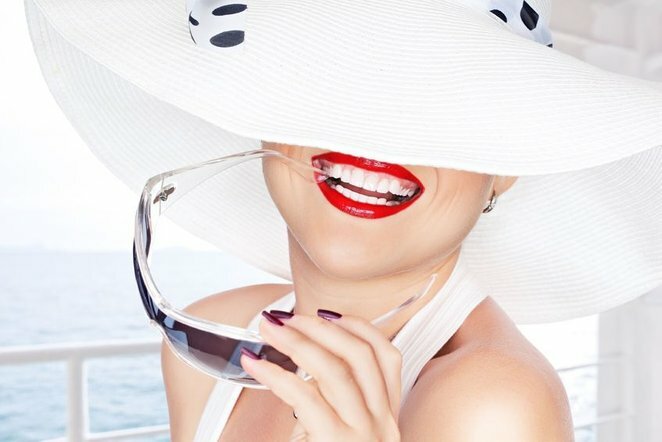 Arsenic seems quite a dangerous substance, therefore many patients the question arises — how long can I wear temporary filling? To answer this question is quite simple. A temporary seal is made from either castineira (which is ARSENICAL paste), or from depulping (which consists mostly of lidocaine and paraformaldehyde). To walk around with a temporary filling can be from a week to two, specific time depends on the amount of the drug and its selenolate. A significant factor is individual tolerance of the components of the temporary filling by the patient himself. A temporary filling may be used in the modern methods of getting rid of dental nerves, if the dentist has any doubts about the correctness of the performed operation. It is very important to follow the doctor's recommendations about temporary fillings, follow his instructions and come to the reception to remove the temporary filling that day. Temporary fillings are often used in prosthetics, to protect what remains of the teeth from negative impacts at the time of manufacture of the implant. The fact that the temporary filling (and arsenic, and lidocaina) when overexposure can be very dangerous. If you held it for more than two weeks, the active ingredients that were supposed to kill the nerve in the damaged tooth can become for the body of poison. So if your dentist has prescribed you a specific day to extract temporary filling, it is advisable to go to another doctor no later than a week after installation. The temporary filling without the unpleasant consequences it is possible to overexpose one or two days, the subsequent reaction to it, and tooth, and the body can be negative.